Lurking in our homes, hiding in our offices, and polluting the air we breathe is something sinister. Something we’ve turned a blind eye to for far too long. Dr. Leonardo Trasande, a pediatrician, professor, and world-renowned researcher, tells the story of how our everyday surroundings are making us sicker, fatter, and poorer. 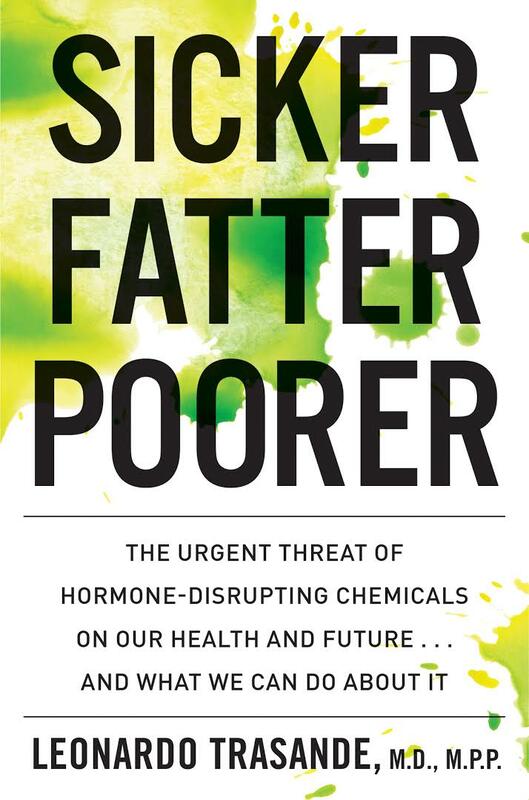 A leading voice in public health policy and top environmental medicine scientist reveals the alarming truth about how hormone-disrupting chemicals are affecting our daily lives--and what we can do to protect ourselves and fight back. Dr. Trasande exposes the chemicals that disrupt our hormonal systems and damage our health in irreparable ways. He shows us where these chemicals hide – in our homes, our schools, at work, in our food, and countless other places we can’t control – as well as the workings of policy that protects the continued use of these chemicals in our lives. Drawing on extensive research and expertise, he outlines dramatic studies and emerging evidence about the rapid increases in neurodevelopmental, metabolic, reproductive, and immunological diseases directly related to the hundreds of thousands of chemicals that we are exposed to every day. Unfortunately, nowhere is safe. Thanks to Dr. Trasande’s work on the topic, and his commitment to effecting change, this book can help. Through a blend of narrative, scientific detective work, and concrete information about the connections between chemicals and disease, he shows us what we can do to protect ourselves and our families in the short-term, and how we can help bring the change we deserve. Click here for a preview of the book.